As Brexit leaves Europe's future in the balance, could a single passport bring Africa closer together? Last year, the African Union launched the forerunner of its very own single African passport. Free movement of people, trade and ideas across an entire continent easier. That’s Europe, right? Well, last year, the African Union (AU) launched the forerunner of a single African passport, at a meeting in Kigali, Rwanda. An e-passport was first proposed in 2014, as part of the AU’s long-term vision for the continent. The aim is to create an Africa that is "integrated" and "united". The AU views the introduction of a single e-passport as central to this, enabling the free movement of people, goods and services across the continent – driving socio-economic growth. Initially the passport was only made available to African Union heads of state and government, ministers of foreign affairs, and the permanent representatives of AU Member States based at the headquarters in Addis Ababa, Ethiopia. However, the plan is to roll this out to all citizens of member states. The current timeframe aims to “realize the dream of visa-free travel for African citizens within their own continent by 2020”. While concerns have been raised about security risks, crime and the spread of contagious diseases, a single passport offers significant potential. 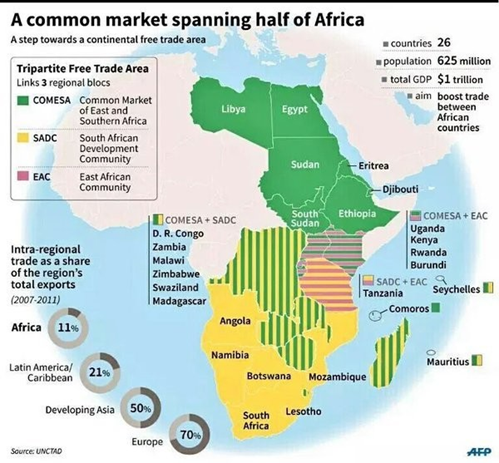 Through increased integration across the continent, the AU hope to foster economic growth. By lowering barriers to movement, the continent can take advantage of its enormous human capital and resource potential. A single passport also represents a powerful symbol of African unity. Following Brexit, and the threat of a disintegrating European Union, it is a significant step in the opposite direction. Equally, opening borders would allow African nations to benefit from regional tourism. The World Economic Forum’s Travel and Tourism Competitiveness Report 2017 emphasised the potential of tourism in the region. However, significant challenges remain. Many Africans still cannot afford the luxury of travel, and air connectivity remains low. As the following chart from the report shows, African economies rank poorly on a global scale. With a burgeoning middle class – expected to reach 1.1bn by 2060, according to Deloitte – extraordinary natural beauty and diverse cultures, tourism offers significant potential for Africa's economic growth. Intra-African travel can help the continent take advantage. How can we unlock Africa’s tourism potential?